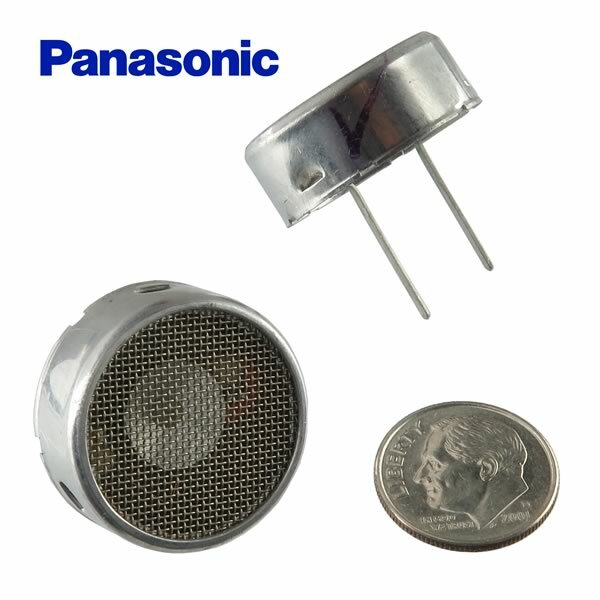 High output 25KHz ultrasonic transducer. Size 0.95" diameter x 0.372" thick. Has metal posts for connection on 0.385" centers. Panasonic (Matsushita) Part# RD25k2. Sold in a package of 2.